The tragic story of WSU football player Tyler Hilinski underscores the concerns we have regarding CTE but, again, perspective is important as we decide which sports we allow our kids to play. As a pediatric neurosurgeon and parent of two young kids, I live at the intersection of family and professional decision-making about sports participation. The last several years have seen many sports come under the microscope as we try to fully understand the risks associated with contact sports where brain health has become a paramount concern. In my practice, I have a fundamental and scientifically grounded belief that sports participation is good, and kids sitting around being inactive is bad and unhealthy, especially as we battle an epidemic of pediatric obesity and its consequences. This belief is reflected in my discussions with families around several issues to determine what sports their kid should play. 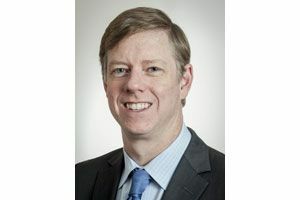 Samuel R. Browd, M.D., Ph.D., FACS, FAANS, FAAP, is professor of neurological surgery at the University of Washington School of Medicine, director of UW Medicine Sports Health and Safety Institute, and medical director of Seattle Children’s Sports Concussion Program. Browd is also co-founder of VICIS, a company that is developing new, impact-reducing helmet technology that collegiate and professional football leagues are testing. Concussion remains a clinical diagnosis made by a health-care professional. While many efforts are underway, there remains no blood or imaging biomarker that can either diagnose a concussion or provide guidance for returning athletes to play. We use clinical judgment, and in most circumstances, fortunately, time resolves symptoms, and most concussions clear within 10 days to four weeks, depending on the athlete’s age. It becomes much more complicated in cases of repeated concussions, prolonged symptoms or involving abnormal imaging studies. The tragic story of Washington State University football player Tyler Hilinski underscores the concerns we all have regarding chronic traumatic encephalopathy (CTE) but, again, some perspective is important as we decide which sports we allow our kids to play. The largest and most publicized studies to date come from researchers at Boston University. They have done amazing work to bring the concern of head-impact exposure to the attention of the public and academic world. 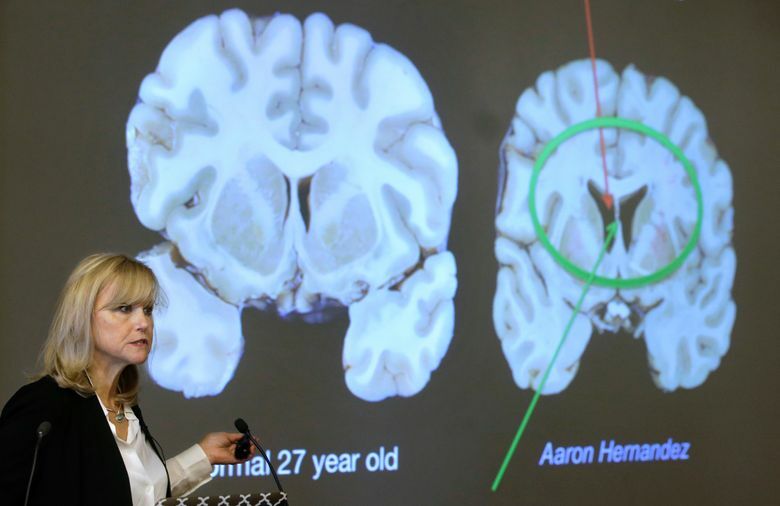 It is important, however, to understand that the vast majority of those found to have CTE in these studies were older players who approached Boston University to donate their brains in later stages of dementia or depression or players whose families donated their brains after the players’ deaths. For these players, the extent and severity of head impacts and the under-recognition and inadequate treatment of concussions during their careers cannot be overlooked. More recently, a few cases have presented in younger players, which is very worrisome. We must try as a scientific community to understand why these younger players show signs of CTE. Other than head impact, we have very little knowledge of the cause of CTE and why some individuals are devastated by the disease while millions of others have played contact sports without overt symptoms. The role of factors such as the total number, type and timing of impact exposure, genetics or other predisposing variables (medication use, recreational drug use) is not yet clearly defined. While the scientific and medical community works feverishly to understand concussion and CTE, we must approach sports participation with common sense and err on the side of safety. Our view of concussion has rapidly evolved, and players, coaches and parents are better informed than ever. No longer do we tolerate putting concussed players back into games. Laws such as the Lystedt Law (which originated in Washington state in 2010 and subsequently passed in all 50 states) seek to protect children by pulling them from participation if a concussion is suspected, and college and professional sports are working to improve concussion protocols. But much work remains to be done. Training and coaching efforts to “take the head out of the game” are evolving, including programs in football, rugby and soccer. Rules are being explored to reduce exposure to contact (eliminating kickoffs for ages 5-10 in youth football) and raise the age of first contact exposure (no heading the ball in soccer age 10 and under). All of these are areas of active research nationally. Research is ongoing into concussion management, and includes studies comparing active concussion recovery versus the long-held paradigm of full physical and cognitive rest. The UW Sports Health and Safety Institute initiated the first national youth concussion research registry earlier this year in partnership with multiple research universities, and a deeper insight into CTE will come in ensuing years. On-field studies of players using sensors will provide a new level of understanding about player health, performance, injury and recovery; likewise, technology continues to advance sports protective equipment. Until we reach a better scientific and medical understanding of sports-related head injury, we need to encourage safe play, proper training, coaching and equipment, and immediate removal from play when a concussion is suspected. Engage your family physician, pediatrician or a sports-medicine professional to make informed decisions, whether you decide to play team or individual sports. We all want the same thing: healthy, safe and active kids.